It’s game day and, no matter how loud and proud you might be, you want to look cute while you’re rooting for the home team. Personalized bags are statement pieces, and making a statement is the game-winning goal. What does a good game day bag have that other bags don’t? It’s big enough for all the essentials—koozies, extra gloves, snacks, you name it—and it’s not a burden to carry. It’s a bonus if your game day bag meets the requirements of the NFL's policy for stadium safety so you can take it in without hassle. 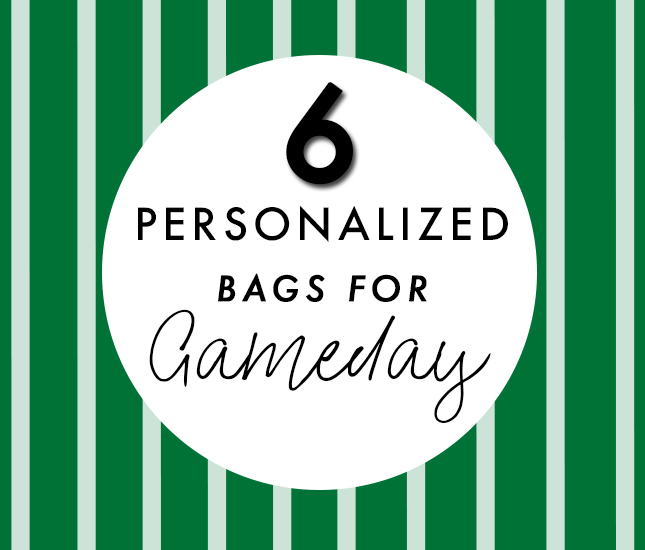 Here are some of our favorite picks for game-worthy totes, clutches and wristlets perfect for whether you’re at the stadium or tailgating with friends. 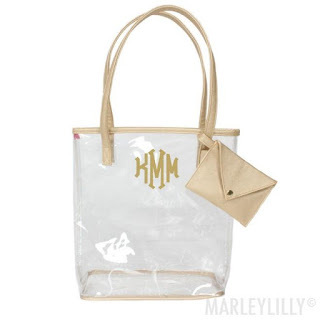 Monogrammed Clear Bag—This monogrammed clear tote is the largest size bag you'll be able to carry into the stadium if you’re attending a pro game. Because it's clear, it can easily be examined, and the sooner you get out of security, the quicker you can get to your seat and get ready to enjoy the game. 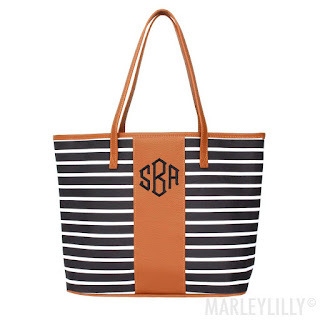 Can we just say that this tote is everything! And who doesn't love personalized bags? 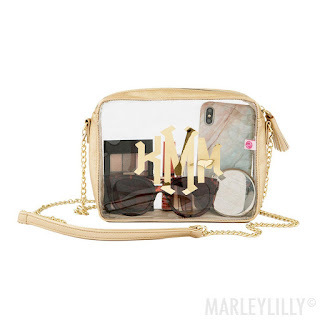 Clear Stadium Wristlet—This wristlet may be tiny, but it surely packs a punch in the style department. 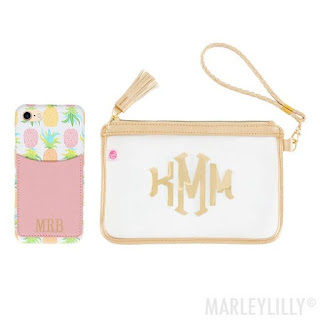 Throw in the essentials, like your phone, keys and debit card, and then toss it around your wrist and you won't have to worry about a thing except for cheering on your favorite team. Clear Monogrammed Crossbody Bag—This cute little clear monogrammed crossbody is an excellent pick for games, game-day get-togethers and tailgating parties, as well as concerts, pub crawls and anything else that takes you out and about. It’s a bit on the smaller end, but that means you can take it into the stadium without a hassle. 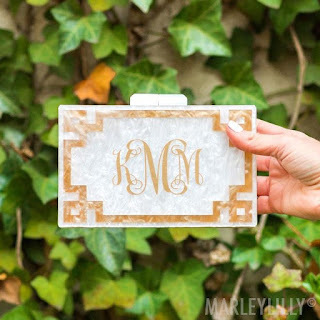 Monogrammed Clutch—Sometimes less is more, and that’s definitely the case with this cute little monogrammed clutch! It's small enough to carry and not be too cumbersome while tailgating but also adds a big touch of style and personality so you don’t feel out of your element. You can’t take it with you inside the stadium, but if you plan to head to dinner or out for drinks after the game, this sweet bag will translate with ease. 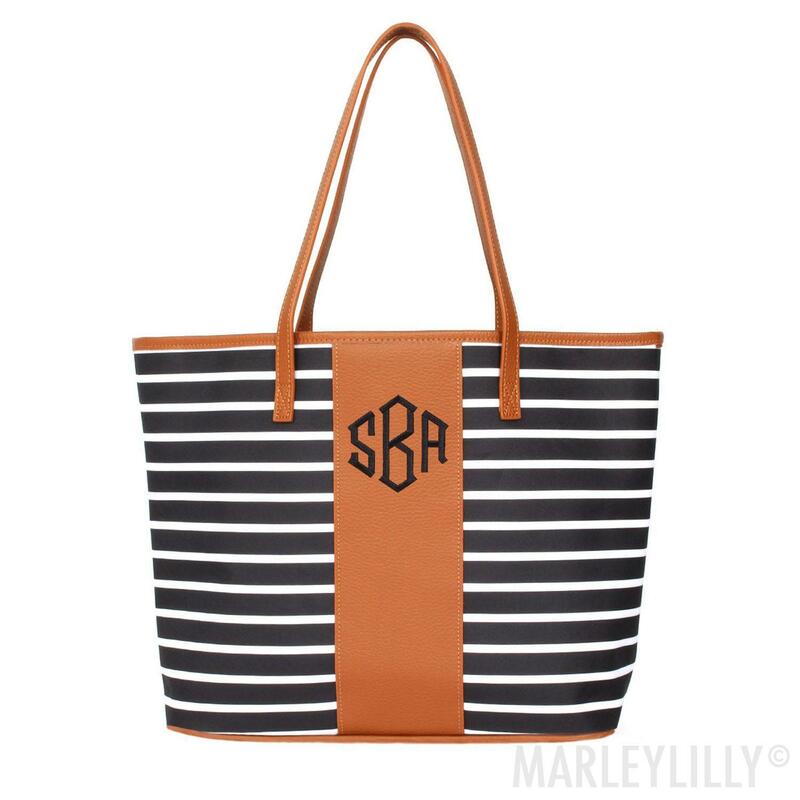 Monogrammed Tote—You never know what you might need while you’re tailgating, so it’s a good idea to go big when the rules allow it. This go-anywhere monogrammed tote bag is the perfect pick for tossing in all the basics plus extras like your sunglasses, koozies and a bottle of water. 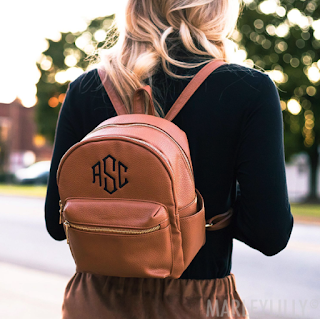 Monogrammed Mini Backpack—This oh-so-adorable monogrammed mini backpack is the choice carry-all for the tailgater who doesn’t want to worry about not having enough hands to carry the essentials. Just throw it on your back and you’re free to explore with beers and snacks in hand. 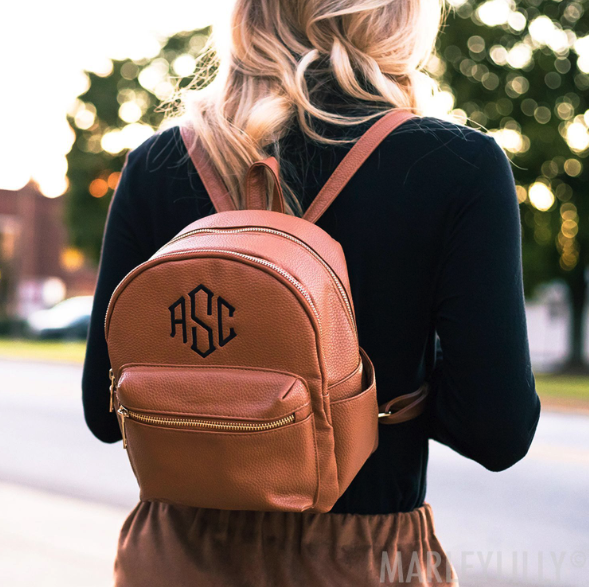 The great thing about this backpack is that it’s ridiculously versatile—use it as a cute casual purse, a school bag or to tote all of your tailgating essentials. Game day fashion is all about finding that fun balance between team spirit and cute, put-together style. These stylish totes, crossbodies and clutches are the perfect fashionable yet functional addition, even if you’re dressed head to toe in team colors.